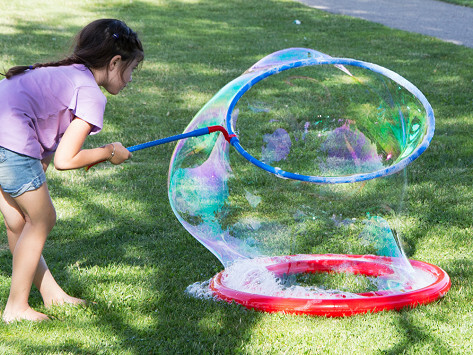 Create people-sized bubbles with this giant bubble wand—and we mean giant. 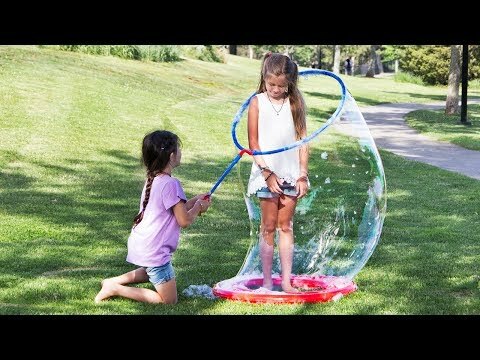 It’s a wand and dipping pool combo that lets kids (or, be honest, you) make ultra-huge bubble tubes. And with Uncle Bubble’s unique bubble solution, the bubbles are stronger and last longer, too. The children had so much fun playing with this and were in amazement with how big and pretty they were!